Supply chains are complex by nature. Whether you’re dealing with electronics or perishables, there are many factors that must be taken into account in order to ensure customers’ expectations are met. The fact that markets are diverse and most enterprises tend to serve diverse markets through one regional delivery hub only adds to the complexity. Managers not only need to manage product limitations such as shelf life and storage conditions but also comply with strict regulations that might differ from one market to another. Fortunately, as organizations embark on the digital transformation journey, they realize that (digitally) upgrading their supply chain can provide a strong competitive advantage. More importantly, unlike other technology projects, most digitization projects in the supply chain arena are quick to implement and produce almost immediate benefits. The important thing to note is that in the supply chain, a multitude of technologies come into play – there’s no “magic bullet”. Technologies such as the internet of things (IoT) and 5G make it possible to collect data, the cloud can help store the data, and big data analytics and artificial intelligence (AI) could help analyze and craft insights for business managers. Machine Learning (ML) can help create models that automate decision making and optimize the organization’s choice of partners and routes and alleviate other pain points. Further, some supply chain specialists also see the use of the blockchain in supply chains of the future. They believe its transparency and immutability are key capabilities that can transform how supply chains work on the whole. However, despite all the potential that technology can offer to supply chain professionals, there are two big hurdles they need to overcome before meaningful deployments can be achieved. These are technical know-how (especially localized know-how) and talent (the ability to get the job done). Organizations have usually been collecting data from their supply chains from the very beginning, but not always in formats that are normalized or consistent. That’s enough to help them get started with things like trends monitoring and big data analysis — but that’s not something most supply chain managers think of. Their challenge is that although they have access to some data, they don’t know what to do with it. They lack the know-how needed to transform data into insights. For supply chain managers, although there’s visibility into how data and new technologies can help climb the digital maturity curve in the supply chain area, there’s limited access to the right talent. Supply chain managers might come from a logistics background, or operations, or be import/export specialists. Rarely a supply chain professional has insight into big data analysis or statistical trend identification. According to McKinsey, the professionals who can turbocharge the digital transformation of the supply chain or help organizations make progress to the supply chain of the future have more than just technical expertise. They have the understanding to building business partnerships, they understand teamwork, and are able to build communities around their digital agenda both inside and outside of the company. But the reality is that organizations are, largely, making headway with digital solutions in their supply chains without sufficient talent or technical know-how. They know the consequences of failing to digitize and understand that going digital unlocks a whole new level of customer satisfaction & business optimization for most organizations. Winning businesses in today’s markets are partnering with experienced technology vendors who not only have use-cases to show but can provide the right amount of support to get projects past the pilot stage, getting digital supply chains running and off the ground — seamlessly. Specialists in the supply chain world, Locus has worked with many of the big names in retail, 3PL, and e-commerce in Southeast Asia such as Bigbasket, TataCroma, and BlueDart. The company provides specialized offerings that can help organizations out of the box, with intuitive user interfaces that are easy to understand. This not only makes enterprise-wide roll-outs easy but also ensures staff buy-in, getting used to the tools in order to maximize ROIs quickly and effectively. Locus has four specific products: Dispatcher for route optimization, MotionTrack for real-time fleet tracking, IntelliSort for automated shipment sorting and rider allocation, and FieldPro for better sales productivity. Average results from Locus Dispatcher deployments tend to produce a 25 percent increase in efficiency and productivity, a 45 percent increase in order deliveries and an 8 percent increase in SLA compliance. The IntelliSort solution offers a 65 percent decrease in shipment processing time and a 27 percent increase in deliveries per rider. Note, these are average figures! Locus has baked artificial intelligence into its solutions, and integrates several bleeding-edge technologies such as geocoding and automation, making sure that deployments use the very latest in technology – the same methods used by the global players in commerce. You can read more about Locus here. JDA is one of the biggest solution providers in the supply chain space. The company has been around for decades and has been collaborating with different kinds of businesses — climbing the digital curve ahead of its clients with new-age offerings. A great advantage with JDA, aside from the various use cases it can offer, is the availability of support for the various tweaks and customizations any business might need. No company is the same as any other, and JDA recognizes this fact that’s often overlooked by cloud-based logistics system suppliers. The company is focused on building smart solutions that not only help client organizations get more out of their supply chains today but also aims to help them prepare for the future with IoT, virtual reality, and advanced analytics capabilities. At first glance, it seems like the company has a strong focus on manufacturing, but the reality is that while own JDA’s journey started with manufacturing organizations, it has since expanded to support businesses in retail, distribution, hospitality, travel, and entertainment. JDA’s portfolio usually comes at a premium, although the company has a SaaS offering (having acquired BlueYonder) that many exploring a digital supply chain might find interesting. Hinged on dynamic real-time visibility, automation of manual processes, and the integration of supply networks, Gravity Supply Chain has a strong offering. The company works with manufacturers, retailers, and logistics providers, and ensures that its offering is tailored to the specific needs of its customers especially in these industries. 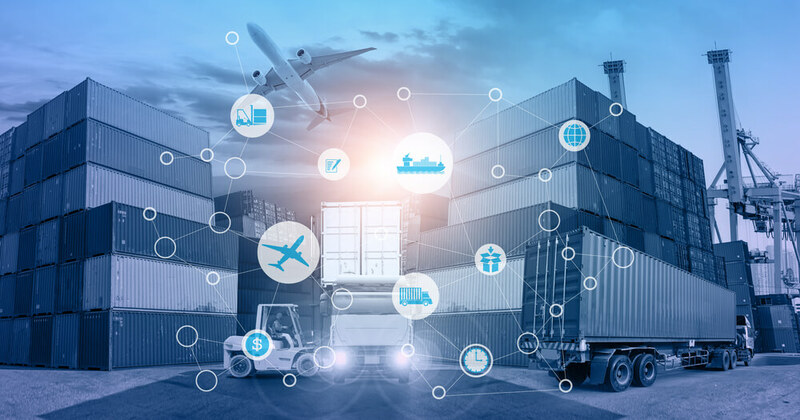 For example, when working with logistics companies, Gravity Supply Chain offers shipment tracking, allowing for real-time multimodal shipment tracking and exception management. It also provides a real-time purchase order management solution. It’s interesting to note how the company charges for both these offerings. For the former, it levies a shipment fee. For the latter, it levies a customer fee. When working with manufacturers and retailers, however, the company offers an end-to-end supply chain management solution that encompasses several areas including sourcing, buying, and catalog management, among other facets. Overall, the company provides a set of applications that speak to one another, are highly flexible and customizable, and can support the entire supply chain workflow. For most mid-market businesses, its seems like a great solution provider. CTSI Global is a solid player in the supply chain space. Like JDA, it’s got a history with logistics companies and has evolved into a technology provider in this space. Based in Memphis, with a strong focus in the US and a network of offices in Ireland, Singapore, and India, the company caters to logistics companies looking for a strong digital infusion into their operations. Although CTSI Global has a competitive business intelligence offering, it’s most well-known products are its transportation management system and its managed services offering. Essentially, with CTSI Global as a partner, companies can forget about their supply chain woes entirely and work on building and growing their core business – that’s CTSI’s core aim. What’s interesting is that across its product portfolio, CTSI Global has been able to offer an integrated user interface that provides a lot of intelligence out of the box, optimizing supply chains and harnessing the power of the gigabytes of data collected by today’s companies.